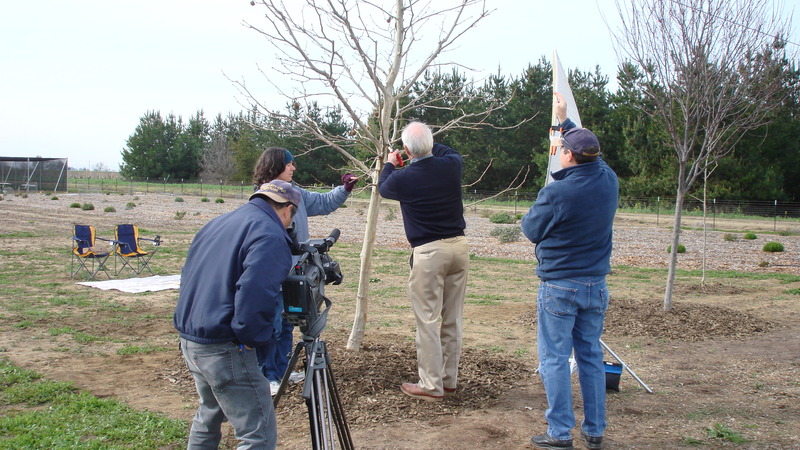 Training Young Trees in Your Home Landscape This video shows you why pruning young trees to train a stable structure is so important, and how do do this. I assisted Larry Costello, retired UC Horticultural Advisor for San Francisco and San Mateo Counties, in producing this video. Technical expertise was provided by University of California, Division of Agriculture & Natural Resources, Communications Dept. (UC ANR Communications). You should understand basic pruning technique before watching this. The whole video is about 18 minutes long – but worth it!. Watch it all the way through the first time, then review the individual chapters as needed. Sharp and Clean – You make better pruning cuts when your tools are in good condition. Removing a Branch – How to take a branch off where it originates. Reducing a Branch – How to take off part of a branch. Size Reduction (Without Topping) – How to make a tree or shrub smaller but still looking natural. Overthinning and Lion Tailing – These common pruning mistakes can cause branch breakage in wind. 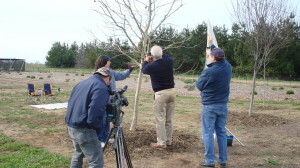 View Pruning – Keep the view without hacking the trees.